Magenic, a software development company, has been very supportive of us since our days in FLL. 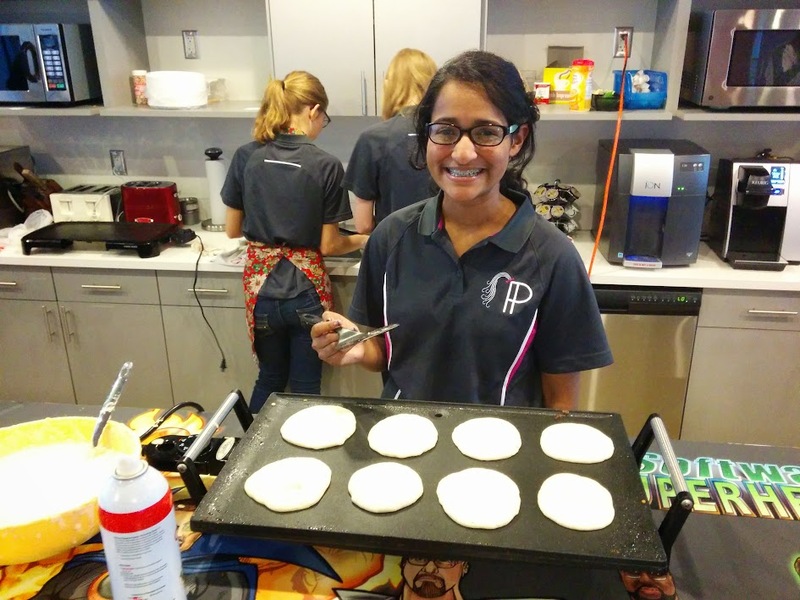 So, to raise funds for the 2015-2016 season, we hosted a pancake breakfast at their office on April 3rd. The price was $5 per plate (though several paid more). As always, the Magenic employees were very enthusiastic and wanted to hear all about the FIRST robotics program. This interest was what made for good conversations in the waiting line, especially when we burned out two electrical outlets from our pancake-making skills. We got this obstacle sorted out as quickly as possible and those who were waiting were very patient. 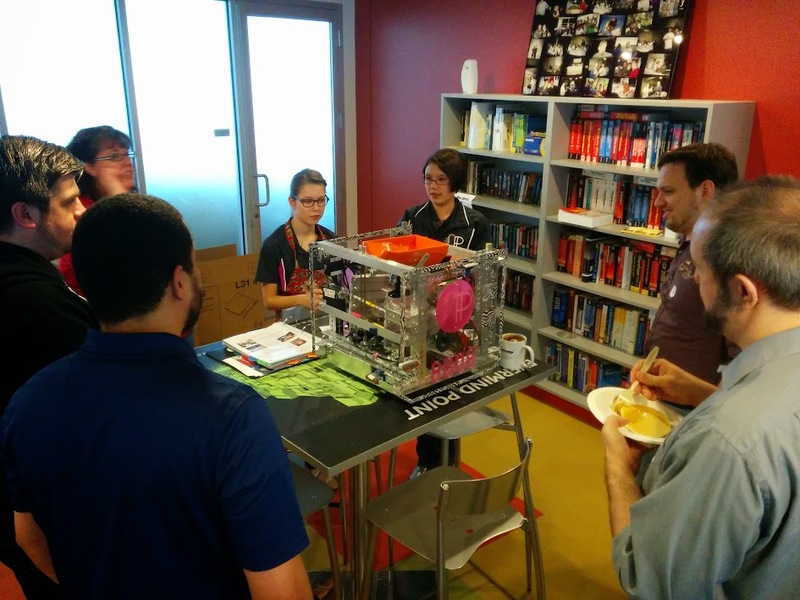 We also brought Stacy (last year’s robot) to the breakfast. We often noticed employees loitering around the table where she stood after finishing their breakfasts. Whenever possible, two or more of us started conversation with those who were interested in our robot. 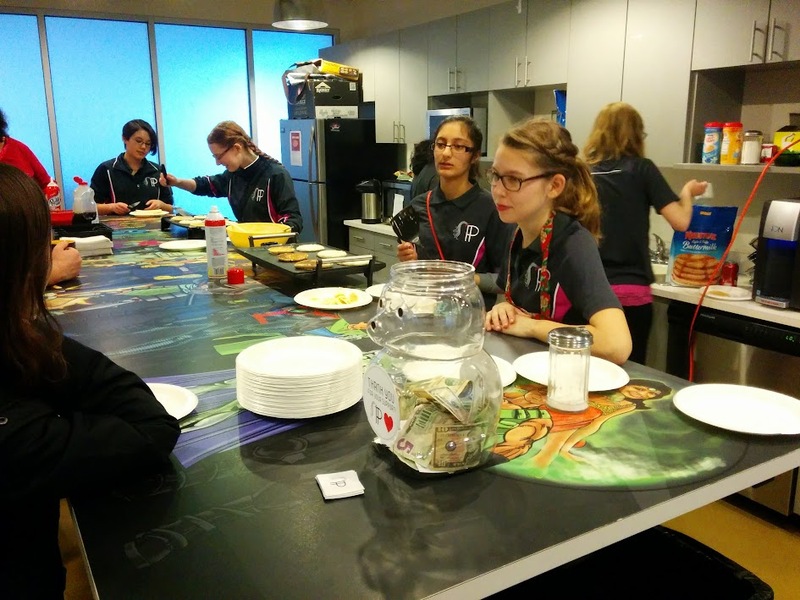 As always, this fundraising event was a lot of fun and it was very generous of Magenic to let us fundraise by making breakfast for their employees.